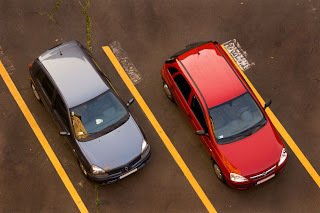 Finding a parking spot near a sporting or theatrical event can be very difficult sometimes. And the people trying to fill the parking spots have some troubles too, as if they don’t fill the lot before the event starts, they’ve lost out on the revenue. That’s why Parkwhiz is a win-win situation. Get online to reserve your parking spot and you don’t have to hassle with driving around to find where to park on game day. It’s genius. Why didn’t I think of that? The founders came up with the idea in 2006 while they were developing a wireless device to help determine whether a car was sitting in a parking space. They determined this was too costly, so they came up with the idea of Parkwhiz, as it seemed more efficient and useful. I hope they do well. I plan to use this service.